I'm thrilled to have a very special guest on my site today who is here to discuss something most writers experience at one time or another during their careers----writer's block. As a matter of fact, I feel like I'm going through a bit of a dry spell myself since most of my time lately has been focused on query letters and proposals. When my guest writer today asked what topic I was interested in, I jumped at the chance to get her feedback on writer's block. 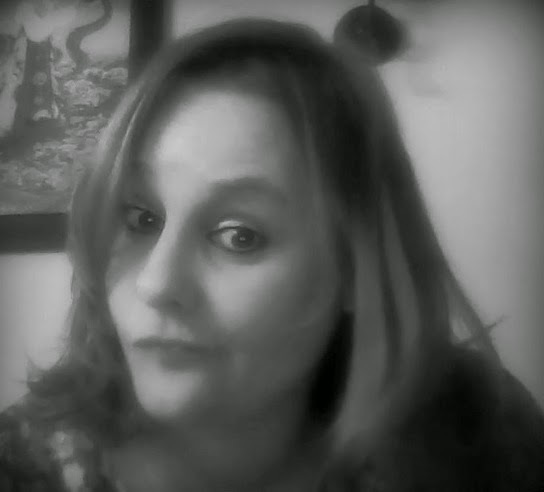 Please welcome my dear friend Starr Bryson, author of the blog, The Insomniac's Dream. She has some helpful advice to share with writers like me who are stuck in a writing rut! There's another reason I wanted to feature Starr today on my blog….I'm EXCITED to announce the "coming soon launch" of her new company, Starry Knight Word Slayers! She offers writing, editing, social media marketing, and promotional services for authors. How cool is that? If you're working on a book, this is the woman you need to contact. Starr is an exceptional writer and has a sharp eye for detail. I've been an admirer of her work for a long time. Do yourself a favor and check out her website---I know who I'll be calling on to help me with book promotions from now on! There is one thing that we writers fear above all else. More terrifying than a rejection letter, more horrifying than a bad review or critique, certainly more heartbreaking than receiving your piece back from the editor torn to shreds; the dreaded writer’s block. Writer’s block creeps in like a whispered fog through the window cracks, a ghost on the edge of your vision to rob you of all creativity, steal your words, and muffle your Muse. It drifts like smoke to blur your vision and rob your voice of the story that was on the edge of creation. 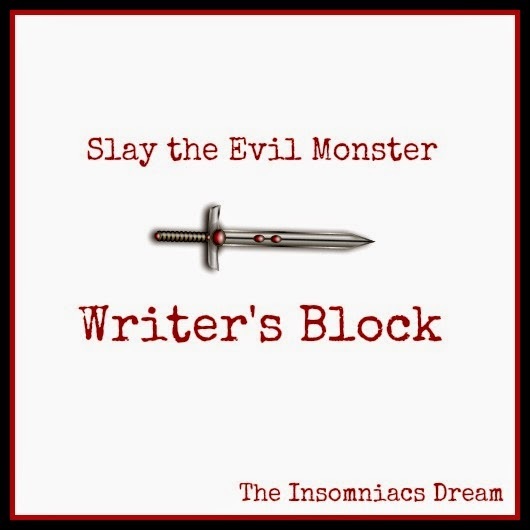 Writer’s block is an ugly parasite, a thief, our worst nightmare. Yet, there are those who still say they do not believe in writer’s block, as if it were a fairy tale told to bad writers at the midnight hour to keep us on our very best behavior. A monster invented only for a campfire tale, and not a tangible beast. Write, they say, and you do not have writer’s block. There is no such thing, only excuses, laziness and distractions. But I have been on the dark side of the night, sitting paralyzed at my keyboard, awaiting the words to spill out of me and instead receiving only mockery; a haunting laughter that rings through my ears and echoes in the halls where once my Muse and I would dance. We’ve all felt the cold touch of writer’s block. Dare I say, even those who claim they do not believe in the myth. How do you shake off the shadow, resuscitate the muse, and get the words to flow once more? When the words won’t come, don’t sit at the computer and stress. Going for a walk is one of the best ways to shake off those writer’s blues. Just put one foot in front of the other, free your mind to work through whatever issues are blocking the words. Some of my best ideas come to me when I’m out for a walk. This is a favorite tactic of mine, even when I don’t have writer’s block. Next to walking, the shower is where all of my greatest ideas happen. This is a soothing, relaxing activity that will ease all of your sore muscles and those kinks in your neck from hours at the computer. Don’t think – let your mind wander and the words will come. Don’t look at me cross-eyed with that murderous gleam. This is a fantastic way to allow your mind to do the real digging. Standing at the counter with a sink full of sudsy water, mindlessly washing dishes while staring off out the window is a perfect way to open that part of your mind where the Muse hides. If you hate dishes, try vacuuming, I find this be a soothing, almost hypnotic chore and I’ve had many breakthroughs while pushing that sweeper back and forth across the carpet while losing myself in the designs it makes in the threads. Nothing inspires us to create quite like reading the stories of other writers. Lose yourself in someone else’s story, and your story will creep back in, whispering gently that it wants to be told. Try reading something in the same genre that you write, and if you’re really stuck, go far out and read something vastly different than your usual style. Force yourself to write through the block. Keep pecking at the piece you’re currently working on, write something new, or try stream of consciousness. Allow the words vomit out of you, even if they’re awful and the worst thing you’ve ever written. Eventually they’ll make something beautiful. Don’t be too hard on yourself. You’re not the first writer to suffer from this malady, and you certainly won’t be the last. It is not a reflection on you was a writer, but rather a side affect of having a creative mind. Sometimes, it just needs to shut down for repairs or reboot. I struggle with the beast often, and I’ve put many a “work in progress” on the back burner when I was stuck. They wait patiently for my return. In the meantime, I’ve made it my mission in life to help other authors. Taking my passion for reading, writing, and absolute admiration for self-published authors, I’m launching a new business that encompasses my freelancing career and adds a new exciting twist: book promotions for indie authors. You can read the story behind the business on the Starry Knight Word Slayers Indiegogo crowd funding page. We love donations, because they’ll help us launch, but if you can’t spare a buck, we love shares, too. And be sure to follow us on Facebook and Twitter to keep up to date on the campaign. Starr’s creative writing ranges from humor laced snarkfests, gritty and painfully raw non-fiction all the way to the dark world of Erotica. The author behind The Insomniac's Dream, she claims blogging was only the beginning of an amazing freelancing career. When I'm hit with this bug, I usually read..read..read. :D Oftentimes, I find myself writing again after reading a good deal of pocketbooks - like three, thick, romance pocketbooks. Reading almost always inspires me to write more. I enjoy romance during writer's block, too. It's a guilty pleasure, an easy read that transports me to another world for awhile. When I'm searching for the funny and it just isn't happening, I open up an Erma Bombeck book or Dave Barry---that always inspires me! Great post. Love the topic. I'm currently writing an unpublished YA short story series named 'Writers Block', about an aspiring writer and what he does to help inspire him. As for me, when I suffer writers block, I like to go to the gym and run. I always get an idea or two after about 5K. Hi Jeffrey! How ironic is that? I love the premise your book, that's definitely something we can all relate to. The gym helps me too, Jeffrey. It clears my head. All of the above. Great post!!! I love Starr----she is such a talented writer and she has a beautiful heart. Great words of advice. I know I'll be reflecting on them often. I will be too, Stephen! Hi Stephen! Long time no talk! Glad to see your face here. Hi Star, I've read your blog for quite a while. I loved this particular post because I DO indeed suffer from "Writers Block" every now and then. I usually plug my ear holes with some awesome music and clean the house. I checked out your new site and love the idea. I'm also working on my first novel, and when I'm finished I have no idea what to do next. I'm definitely going to keep you in mind. Good Luck. Hi! I love that you said "ear holes". Look me up when your book is done! Love me some Starr! She is very cool and this is a great post. I am one of the lucky ones as I don't really get writer's block. I guess I still have many subjects to cover. The gym is also a great way to clear the mind and I go there often. Even a run or walk will help. Starr challenged me a bit recently to write a different kind of post recently and it worked out well. Sometimes you just need an outside influence. I'd echo a number of your solutions, particularly the walking. Another option - that seems to work for me - is to go into town for a drink with friends and catch the last bus home; the drunken occupants, all confined in a cramped space, usually throws up plenty of ideas for stories. I can go for a cold one or a glass of wine at home to stimulate the Muse - but I HAVE to avoid social situations. Once I'm around friends, I forget what I was trying to write (or that I was even writing). I'm best in quiet spaces alone doing dishes or walking to clear my mind. No outside stimulation. Yes such great advice, just saying. This definitely the stuff of nightmares!!! Great post. Oh, what we writes do when we can't find our words. Hope you had a good Easter, too. several occasions he threatens to divorce me if I dare question him about his affair with other ladies, I was totally devastated and confused until a old friend of mine told me about a spell caster on the internet Dr. Trust who help people with the relationship and marriage problem by the powers of love spells, at first I doubted if such thing ever exists but decided to give it a try, when I contact him, he helped me cast a spell and within 24hours my husband came back to me and started apologizing, now he has stooped going out with ladies and he his with me for good and for real. Contact him today on his website (http://oviatample.webs.com) and email him on oviatample@gmail.com this great spell caster for your relationship or marriage problem at: or call him on his cell phone. +2348077357453. (http://oviatample.webs.com).